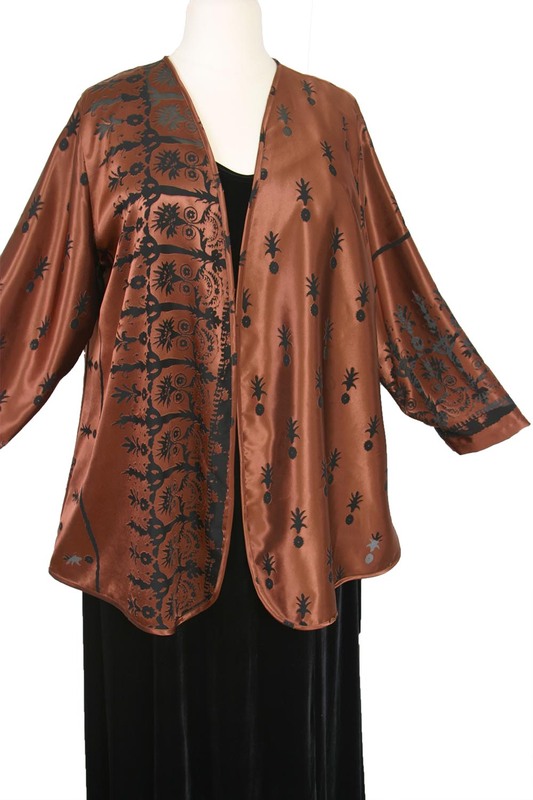 Was $300, Now Only $200 THE PERFECT Plus Size Special Occasion Jacket for Fall and Winter..soft and easy, yet elegant enough for any special occasion. 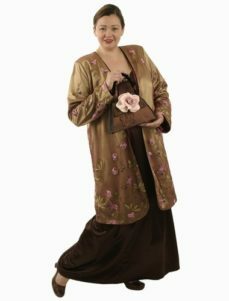 Be yourself: Feeling relaxed and Confidently You on that special day. 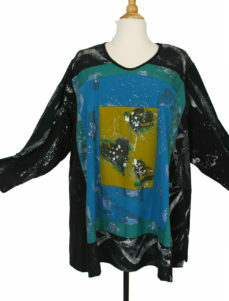 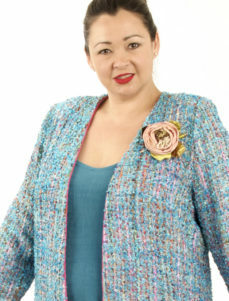 Enjoy a chic, dressy elegance that's easy and cardigan-like, a contemporary and relaxed look that's also dressed up. 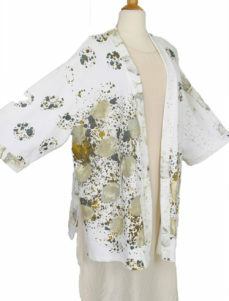 Created in our Studio, this Daisy Jacket is soft, lightweight, rayon satin with etched burnout pineapple motifs. 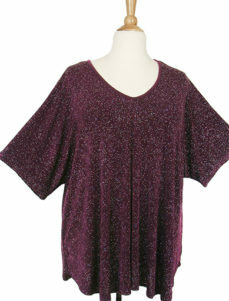 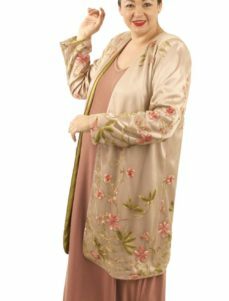 Pricing is for the jacket only, so we'll make a simple Dress or Separates for a fall/winter plus size mother of the bride dress that's perfect for YOU. Enjoy our Very Personal Service. 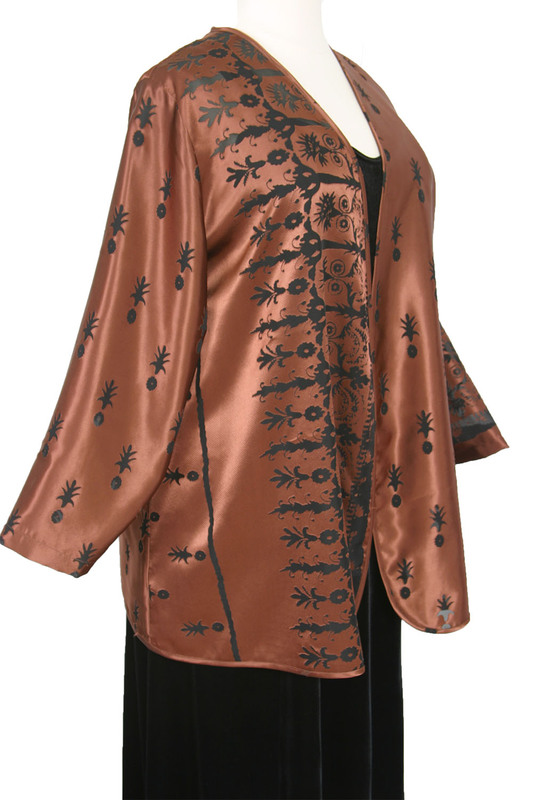 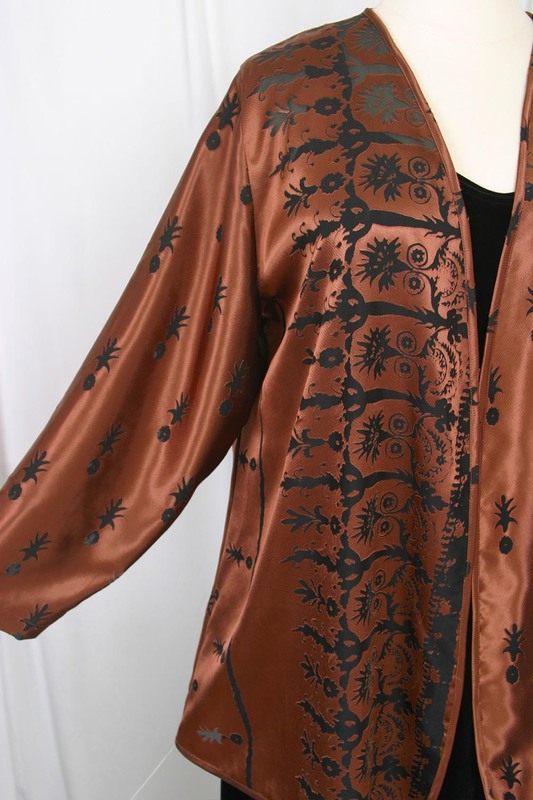 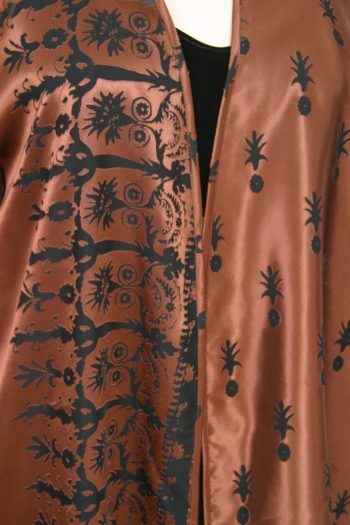 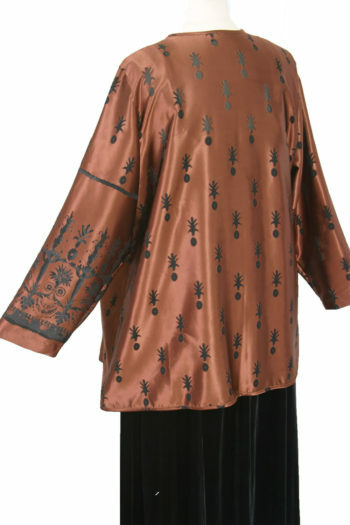 Be the first to review “Plus Size Mother of Bride Jacket Copper Brown Pineapple Satin Burnout” Click here to cancel reply.